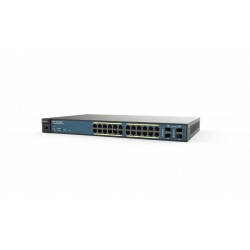 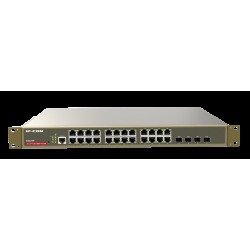 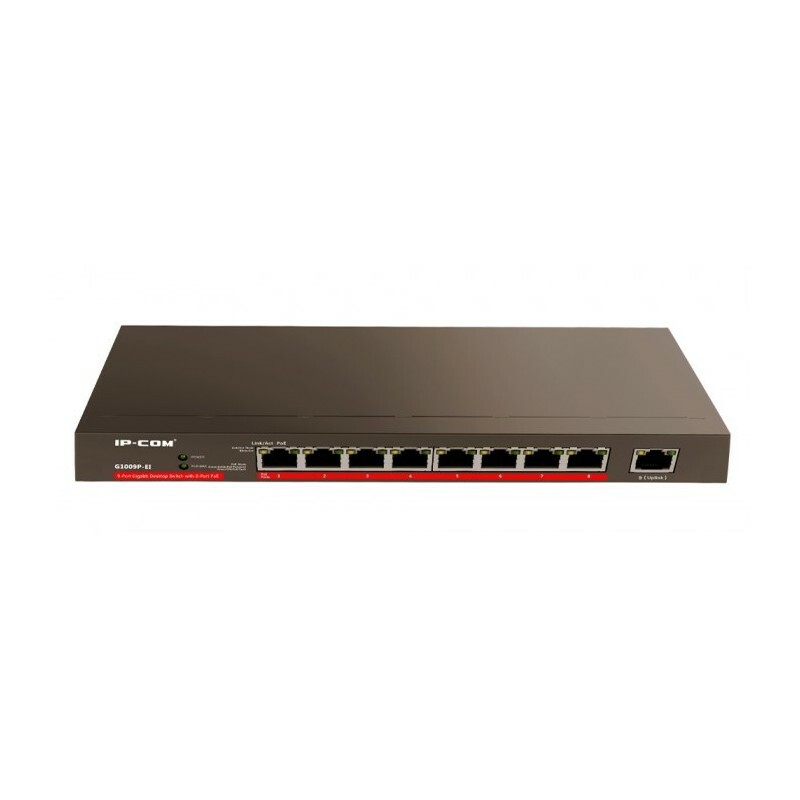 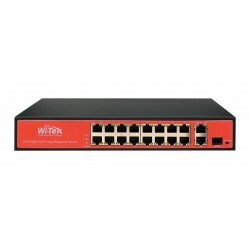 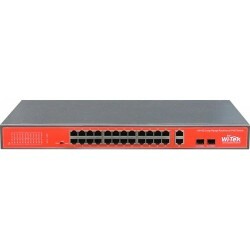 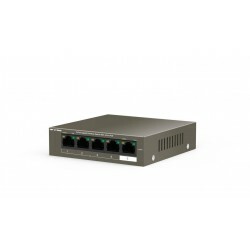 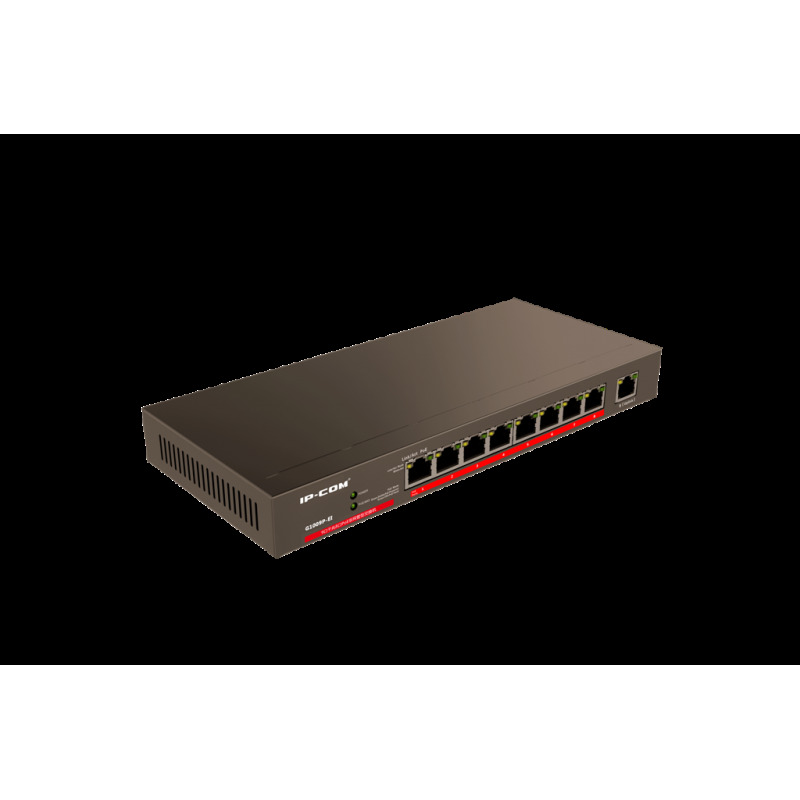 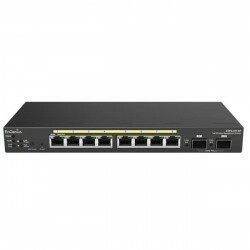 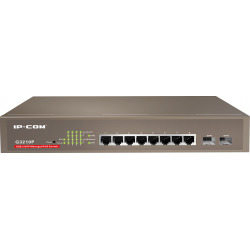 IP-COM G1009P-EI is a 9-port Gigabit Ethernet desktop PoE switch with 8 PoE ports, providing 9 Gigabit Base-T Ethernet ports. 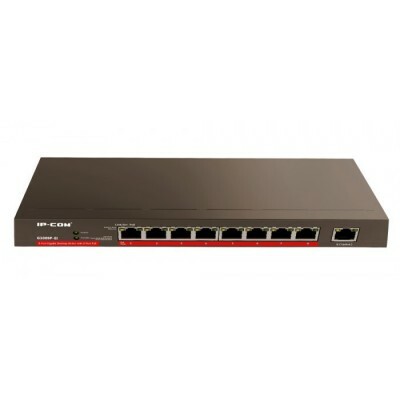 Ports 1 to 8 support IEEE802.3af PoE (15.4W) simultaneously or 4 ports support 802.3at PoE (30W) simultaneously. 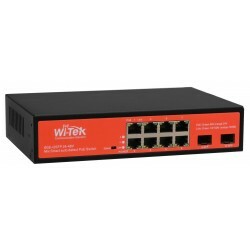 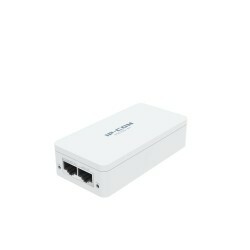 This device can provide data / transfer and power for AP (access points), IP cameras and IP telephones by Ethernet cable. 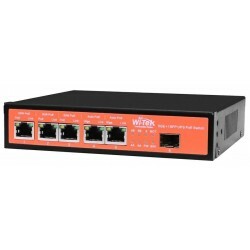 The device complies with the 802.3az (IEEE) standard and is designed with superior performance, such as the 9th uplink port for lightning protection, PoE dynamic power, lower power consumption, silent and fanless. 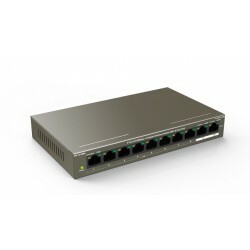 8 RJ45 ports 10/100/1000 Mbps. 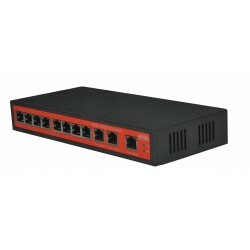 Auto MDI / MDI-X all POE. 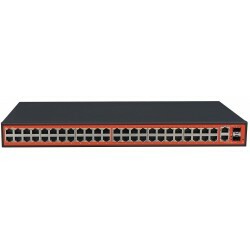 4K memory for MAC addresses. Transmission method Store and Forward. LED'S: Power, Link / ACT, POE Max. 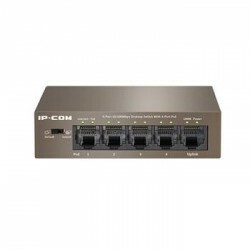 Automatic detection of consumption in each port. 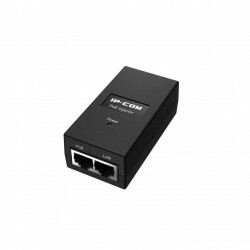 Protection of circuits to prevent interference between connected ports. 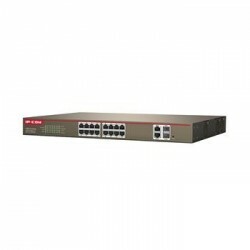 Working temperature: -10 to 45 ° C.
Storage temperature: -40 to 70 ° C.